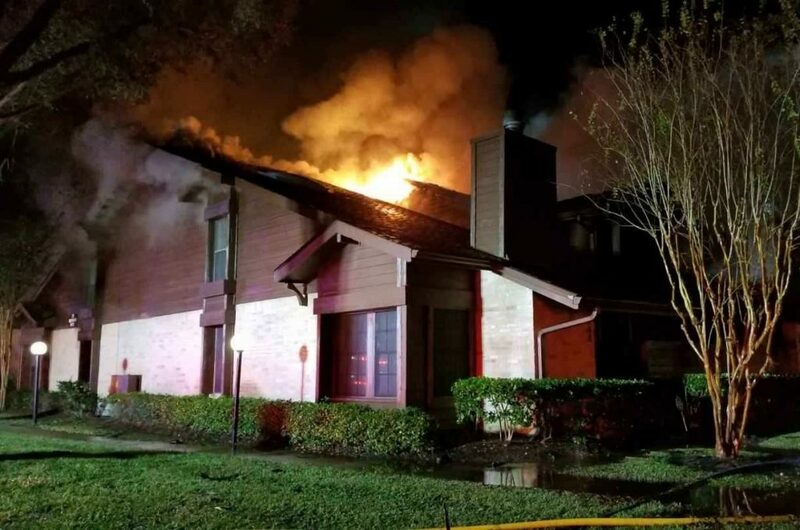 Townhome Fire on Grants Lake Blvd. At 23:54hrs Engine 23 was sent on the back-in assignment to SLFD Station #1 due to a working town home fire on Grants Lake Blvd. 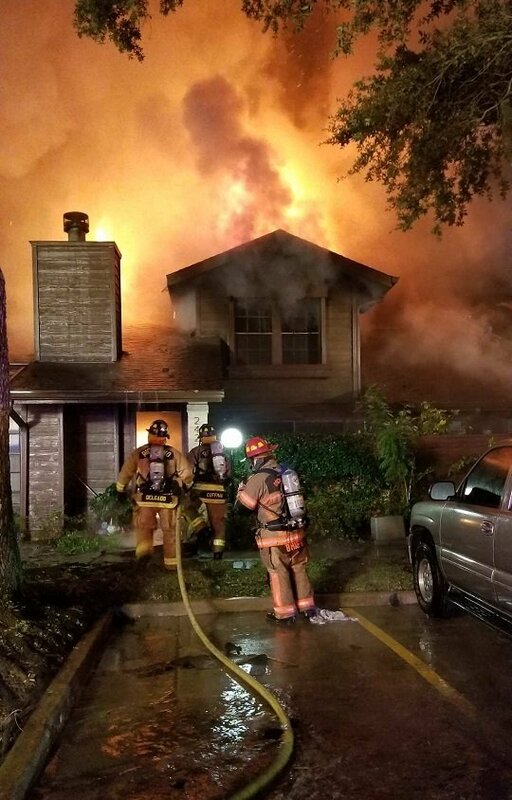 Shortly after arriving at their back-in assignment Engine 23, along with Engine 41 also backed-in to cover, were requested to make the fire. Upon arrival heavy smoke was evident from the the attic space of a 8-unit town home row. Minutes after arrival of Engine 23 fire broke thru the roof, and with all companies removed from the building, Ladder 4 (A/B corner) and Ladder 31 (B/C corner) began ladder pipe operations. Due to construction of the building with one large open attic and numerous concealed spaces, fire was able to take possession of the attic space and begin running the length of the building. With numerous elevation differences in the attic space and roof line, Ladder 2 was also put into service for ladder pipe operations (Side D) as well as the deck gun of Engine 3 also on Side D. With structural integrity in question, and fire running the building, defensive operations continued for the duration of the incident. With the incident contained, and temperatures of 35-degrees, Engine 23 returned to service approximately 3-hours later.